They may be out of the series, but will always remain in our hearts and minds. 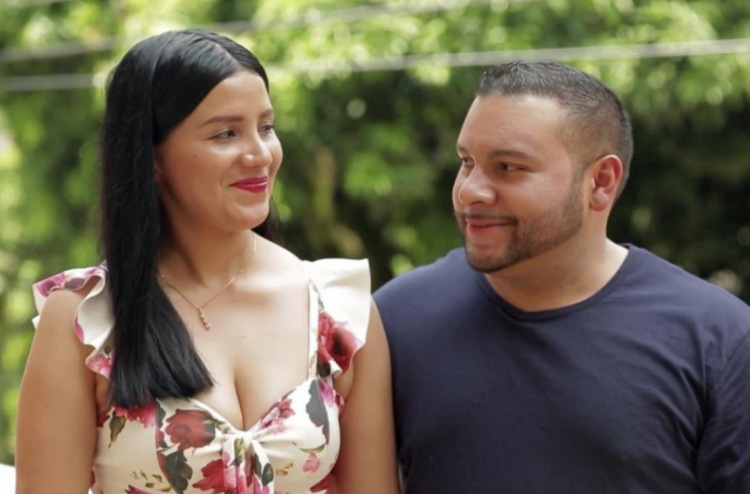 90 Day Fiance:Before the 90 Days Paul and Karine celebrated their first wedding anniversary over the weekend by sharing sweet pictures of one another, and a video slideshow that Karine created for her husband. The good, the bad, and the downright uncomfortable moments of their relationship was documented on both seasons of the show. It was a difficult first year for the couple who had to deal with physical separation, language barriers, arguments, and a heartbreaking miscarriage. But it seems the coming year may bring better things for the expectant parents-to-be. Karine is enjoying a healthy pregnancy and they are even starting to learn each others languages! Karine can be seen speaking English in a video on Paul’s Instagram paying tribute to their love and their baby. 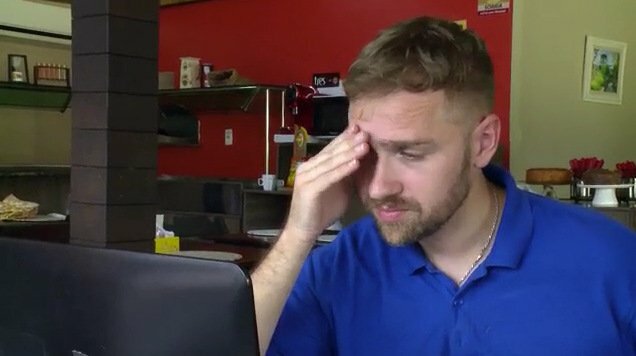 Any fans of 90 Day Fiance: Before the 90 Days that enjoyed watching Paul Staehle and Karine Staehle segments will be very disappointed to hear that this couple won’t be returning to the show. Paul confirmed that TLC will no longer be involved in airing their bumbling Google translate conversations with the now deleted Instagram post, “even though we were not selected to advance on the show, we are very excited for this huge next step in our life as a new family.” The “huge step” was a confirmation document for Karine’s visa interview. This interview would be taking place at a U.S. embassy in Brazil closest to their residence on October 30th and, if she passes, Karine will be given a spousal visa to travel into the U.S. Once in the country, she will be able to apply for a Green Card. If she is able to travel before delivering, Paul and Karine’s baby will automatically have U.S. citizenship. Paul has already left Brazil for the U.S. He posted a rambling monologue about flying his German Shepherds in from Brazil. Among some of the highlights of this odyssey include 3 connecting flights with series 500 kennels, dogs breaking out at security checkpoint in Miami, Paul left stranded in Chicago and having to spend over $700 on an Uber. Paul Staehle really outdid himself this time. 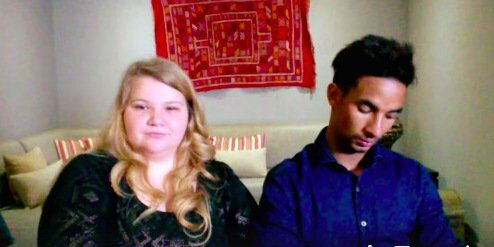 On the 90 Day Fiance: Before the 90 Days reunion, he blindsided his pregnant wife Karine Staehle by demanding that she take a DNA test. That was Sunday night. After that pitiful display, and the subsequent fan backlash, it seems Paul is in damage control. Monday morning, Paul posted a link on his Instagram to the USCIS (United States Citizenship and Immigration Services) website. The USCIS website provides all the information that a person would need to apply for visas, green-cards, and in this case, citizenship for a child born abroad to a U.S. parent. Saturday night, I witnessed Bradley Cooper shine in A Star Is Born, but last night I truly witnessed the best actor in a lead dramatic role when Ricky pretended he was something other than a world class scumbag. 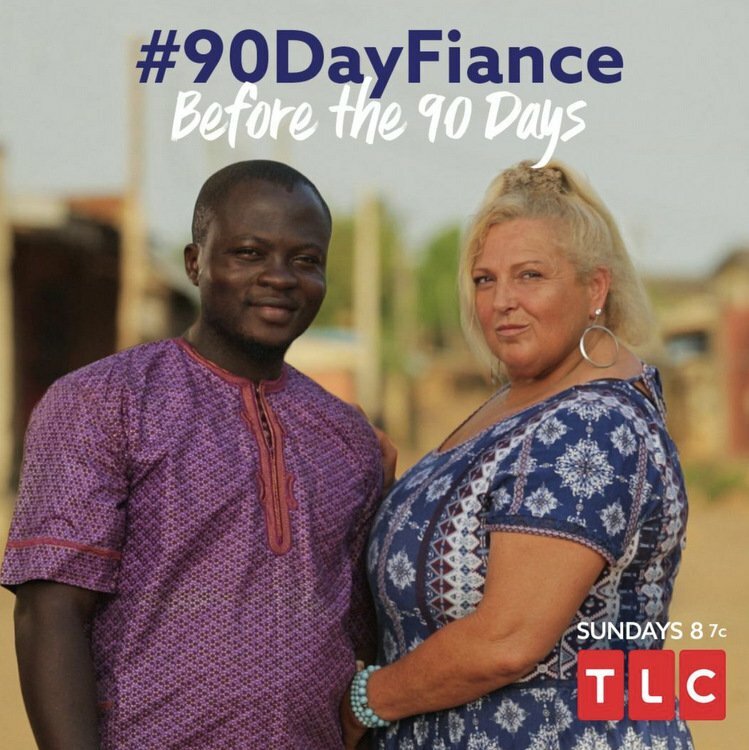 Ah, 90 Day Fiance Before The 90 Days, what are we gonna do without ya? Season two has been a rare gift of carefully curated dysfunction, the likes of which we may never see again – until regular 90 Day Fiance (season 6) starts up in two weeks. YAY! Before we get to Ricky’s hot mess, a hop across the pond is in order. Rachel, Jon, and Lucy are playing “happy family” at their cottage rental as Rachel silently seethes over girlfriends of Jon’s past. It seems she’s moved past her fears (for now) because it’s time to pick out wedding bands. And apparently, it’s also time to tell the unwitting jeweler, “We met on a karaoke app!” It’s also time for Jon to tell Rachel that he doesn’t want to wear a wedding ring! Umm, WHAT? It’s the end of a long, dramatic journey for the six couples of this season’s 90 Day Fiance: Before The 90 Days, and tonight we’ll see just how much dignity can be scraped off of the floor before they decide to walk away and/or commit themselves to one another for another paycheck life. TLC’s previews are keeping tonight’s drama on strict lockdown, but we do see glimpses of what may befall our American-foreign lovebirds. As for the 7th(ish) couple, Marta and Daya, their relationship was basically dead on arrival, so let’s just allow them to RIP.